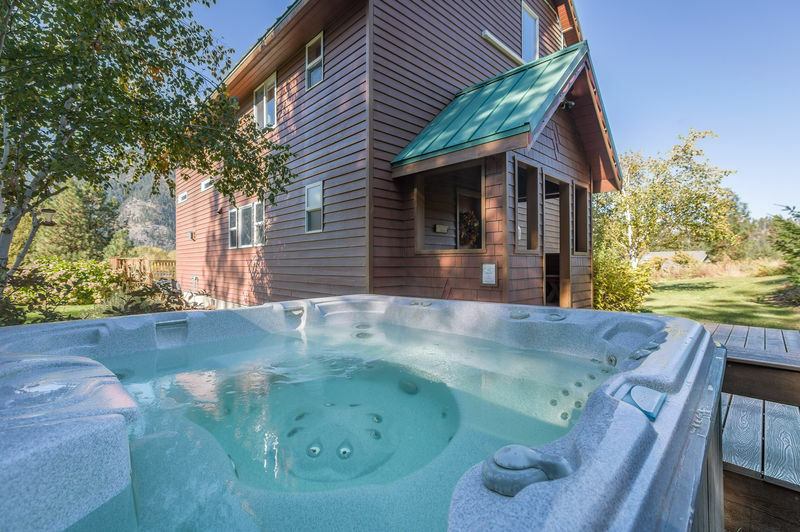 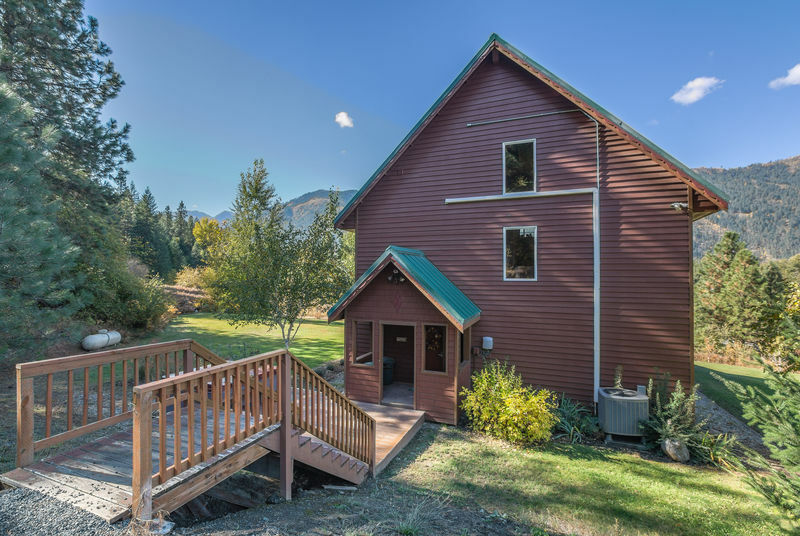 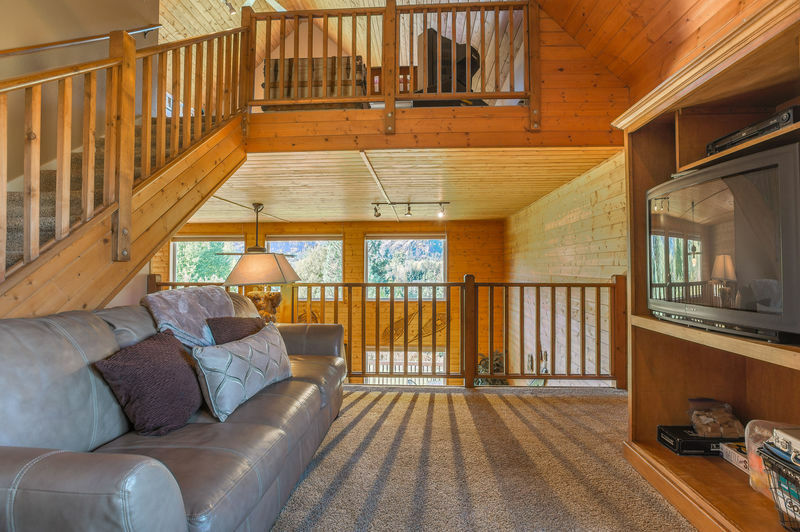 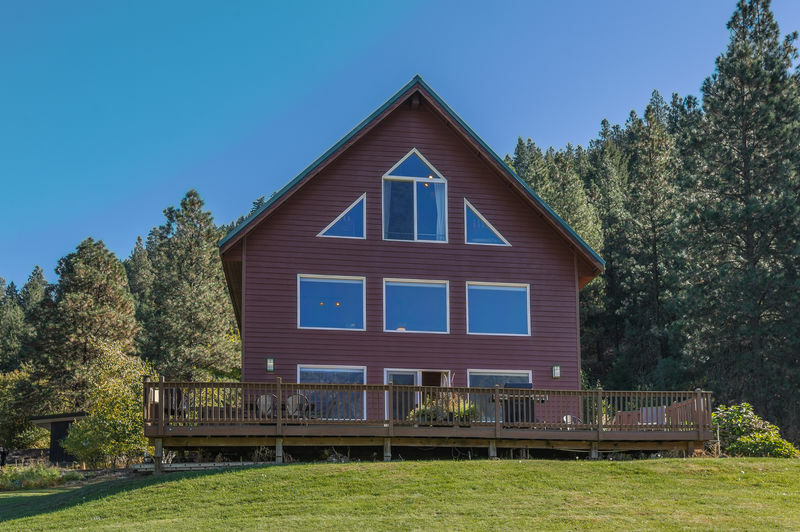 Like the breathtaking, rugged Enchantment Mountains that are majestically spread in full view of this wonderful retreat location, Enchantment Haus itself regally overlooks the beautiful Icicle Valley. 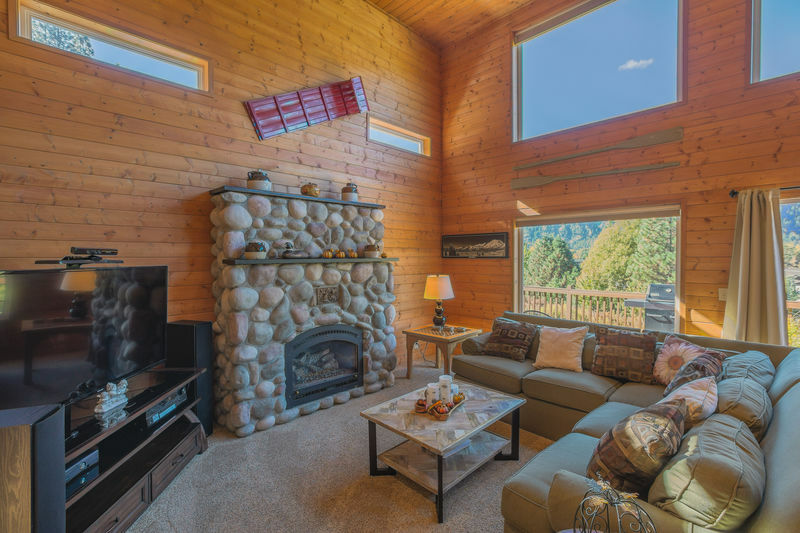 Designed and decorated in warm rustic pine, with marble and stone accents, it brings the feel of the great outdoors inside, creating a wonderful place to stay. 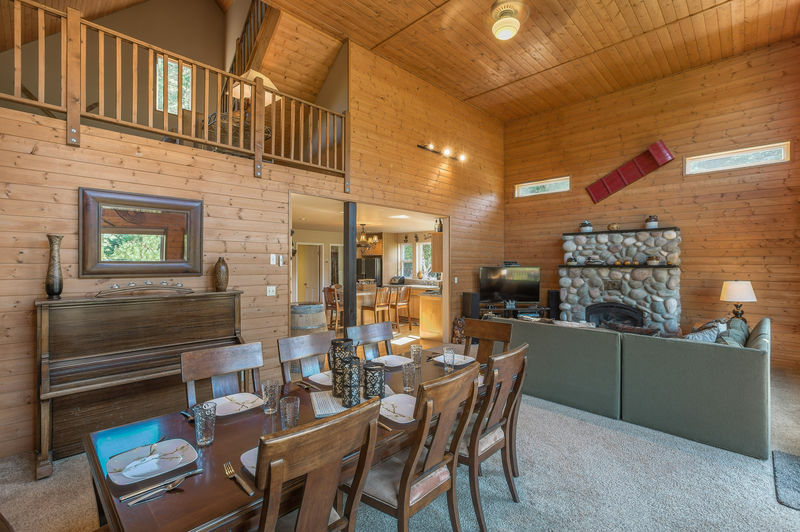 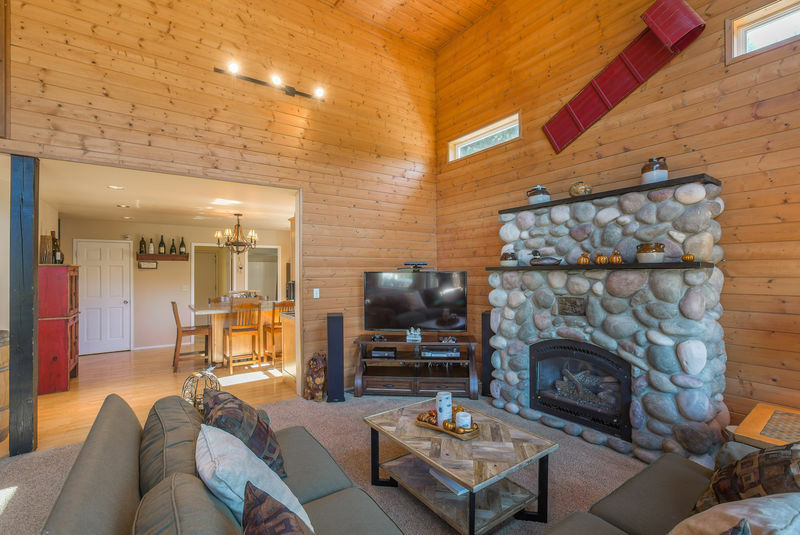 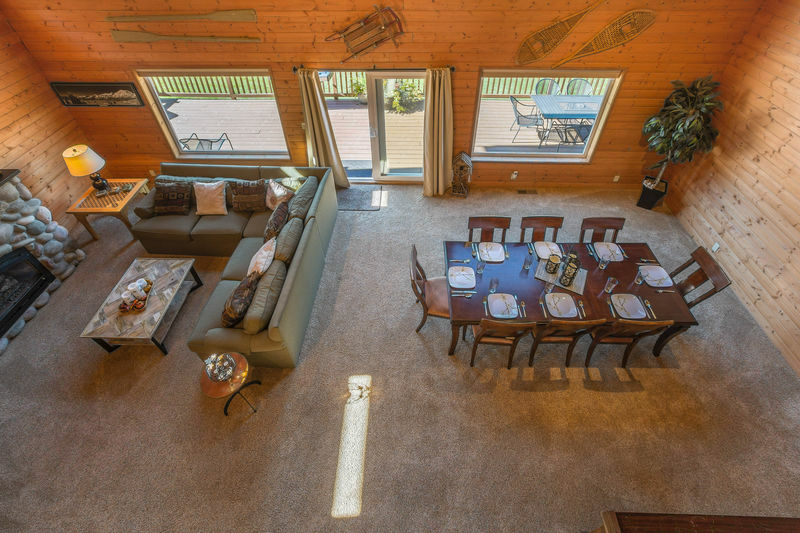 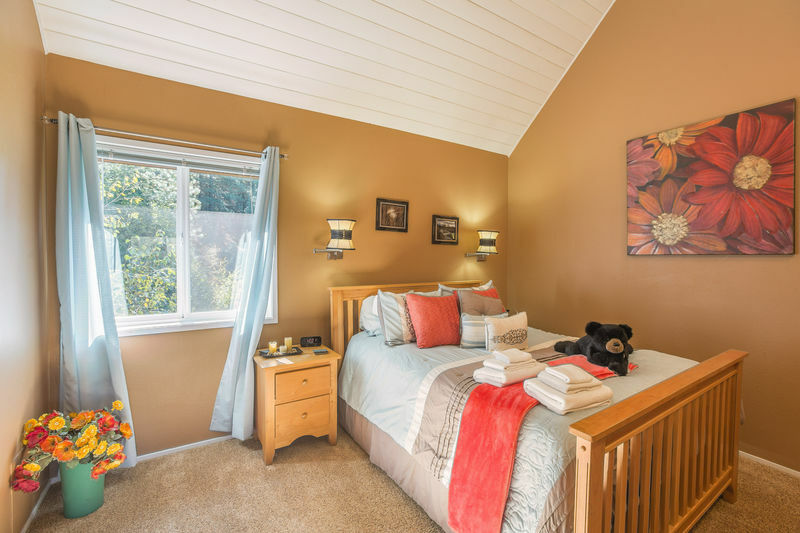 The setting is lovely and relaxing– close to town, yet in a setting that feels so far away– and with three floors of space, it has room enough for the special group gatherings you have in mind. 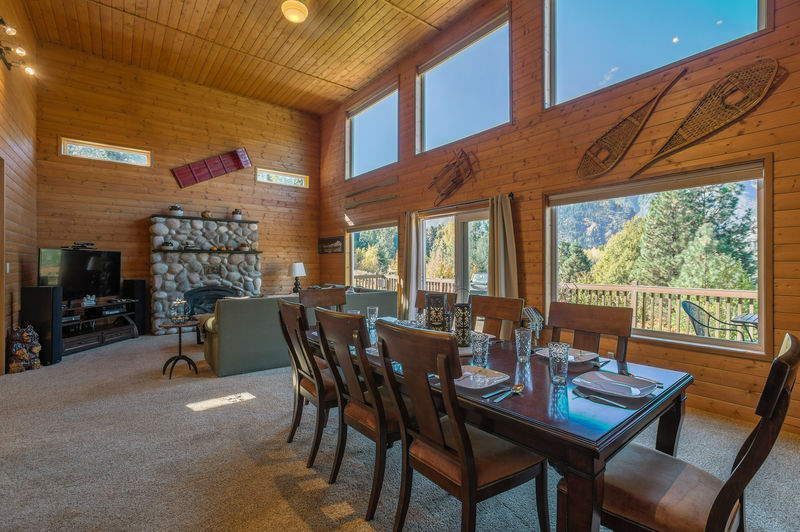 Imagine gathering around the big and beautiful river-rock fireplace to share some hot cocoa and popcorn while you play board-games together– or imagine enjoying the stunning mountain view with a delicious summer barbeque on the big deck that overlooks the Cascade Mountains– or savoring the mountain beauty from the private hot tub outdoors. 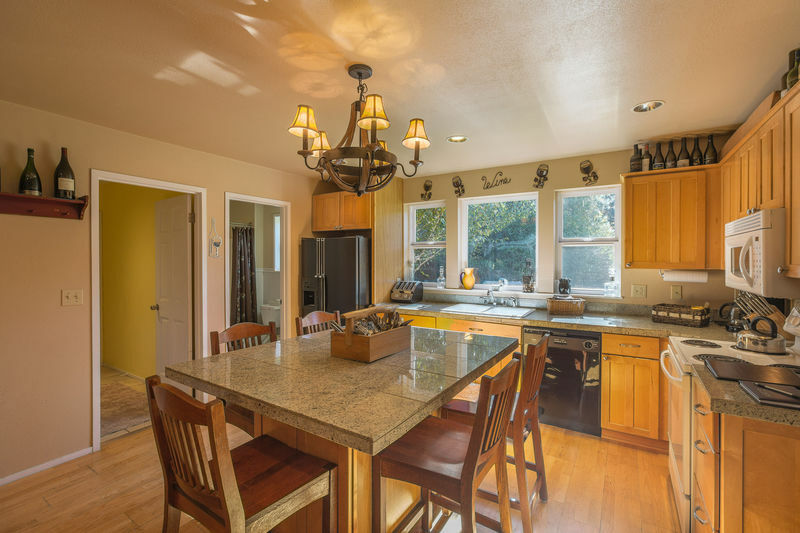 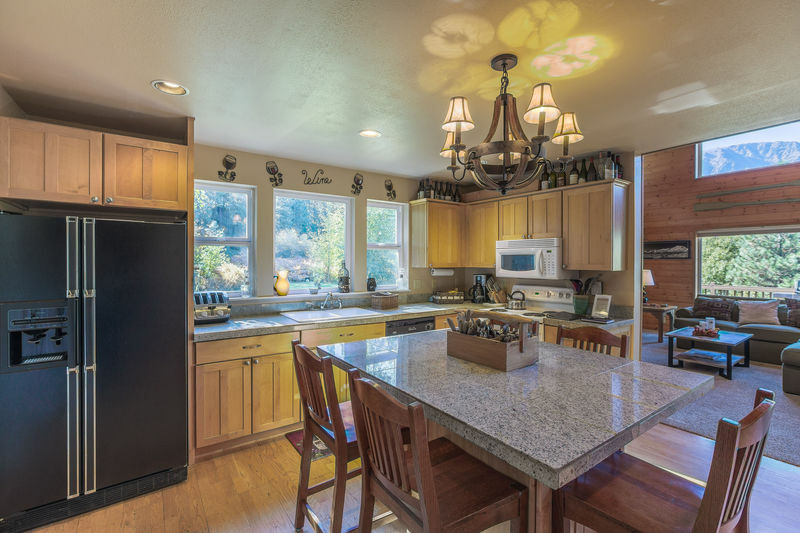 A large, fully equipped kitchen, with a granite counter center island, is the heart of the main floor. 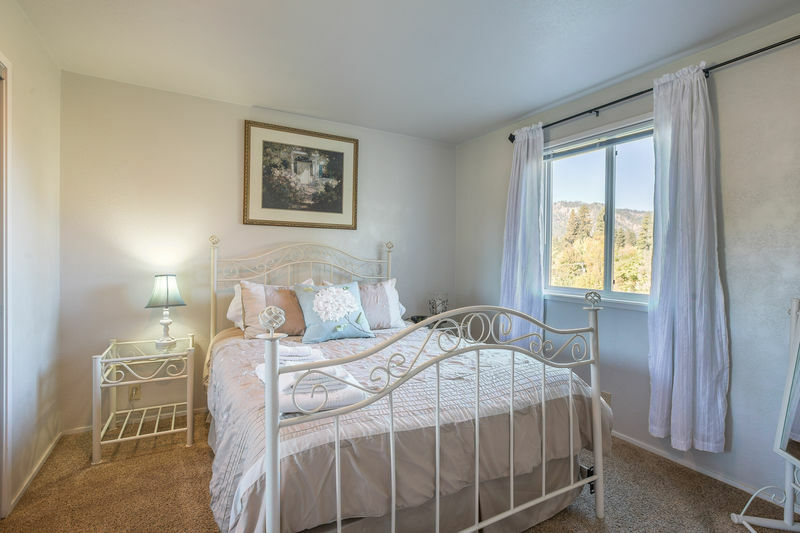 The beautifully furnished and roomy living and dining areas constantly savor the breathtaking mountain view from the gigantic windows. 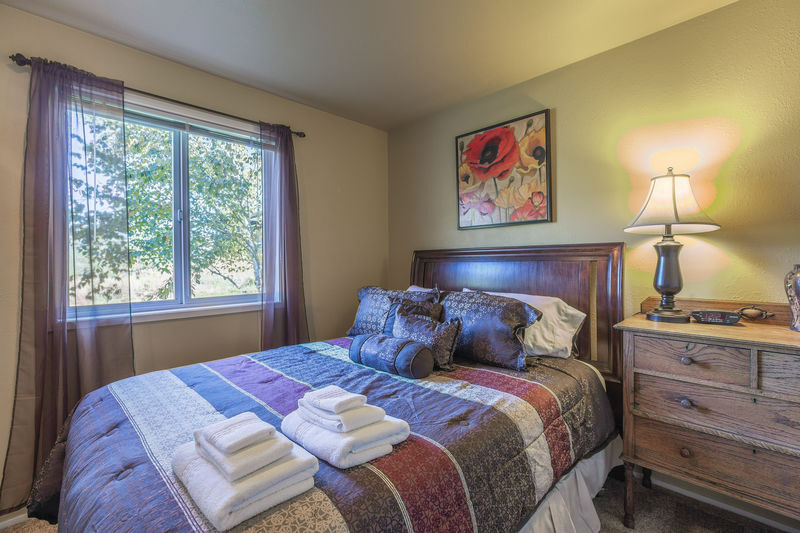 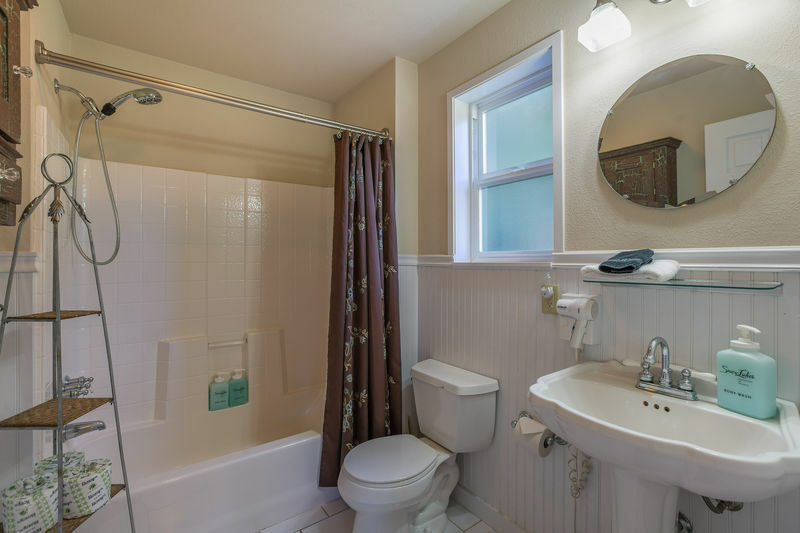 Two attractive and comfortable bedrooms are located on the main floor, as well as a very cute shared bath. 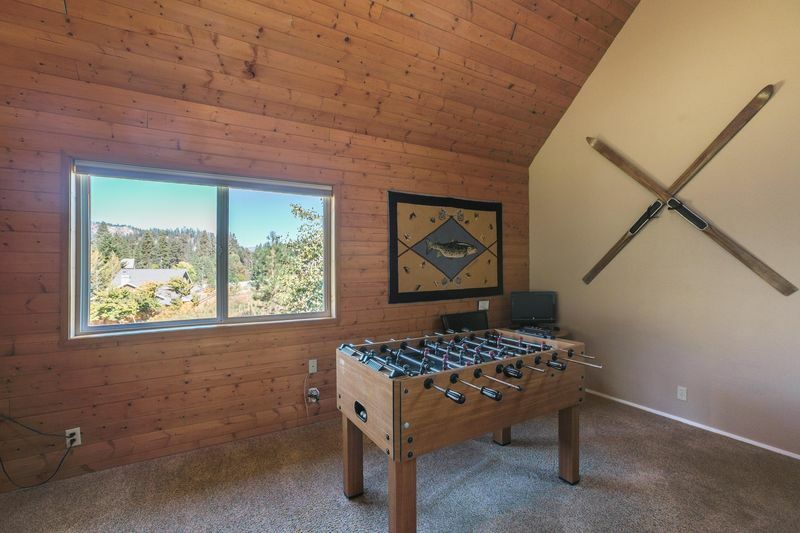 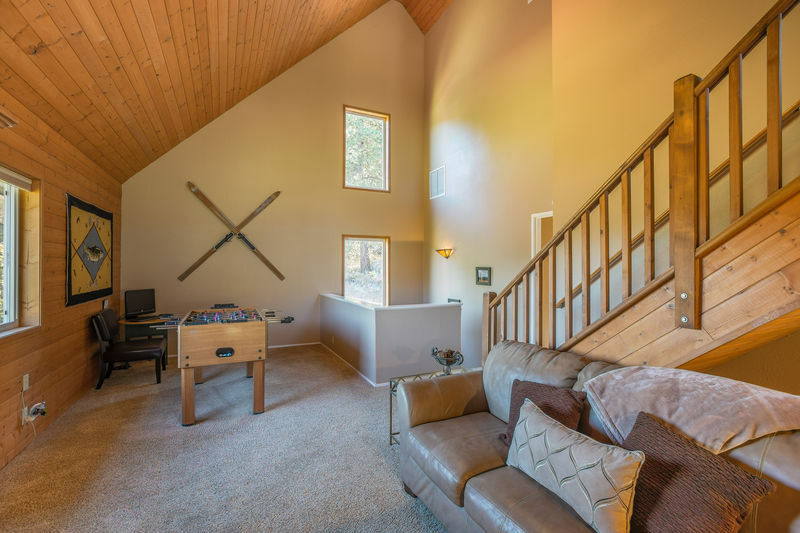 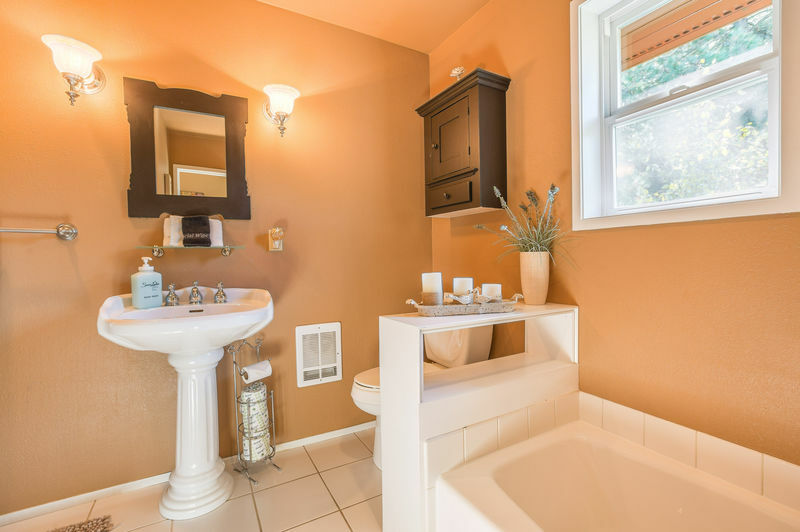 The second floor features a lovely, cozy master bedroom with private bath, as well as a recreation loft with an additional TV, DVD, and games. 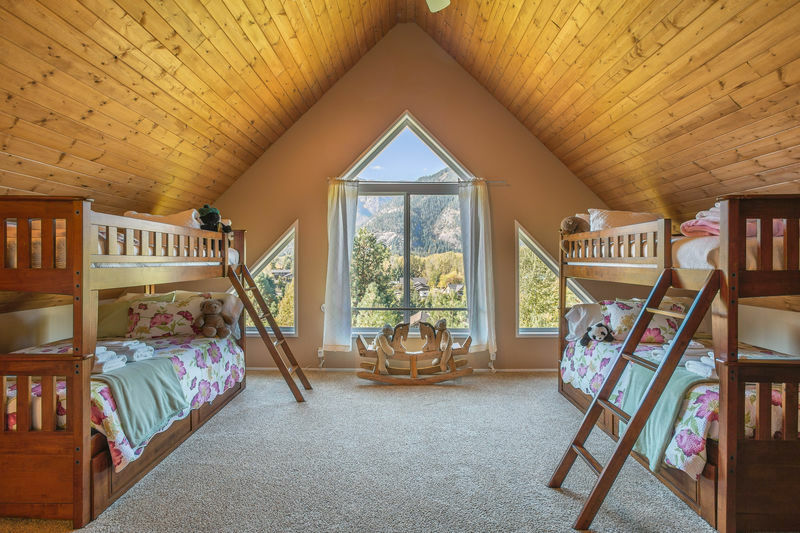 The beautifully designed third floor loft has two sets of bunk-beds and a stunning mountain view that's framed by very large windows. 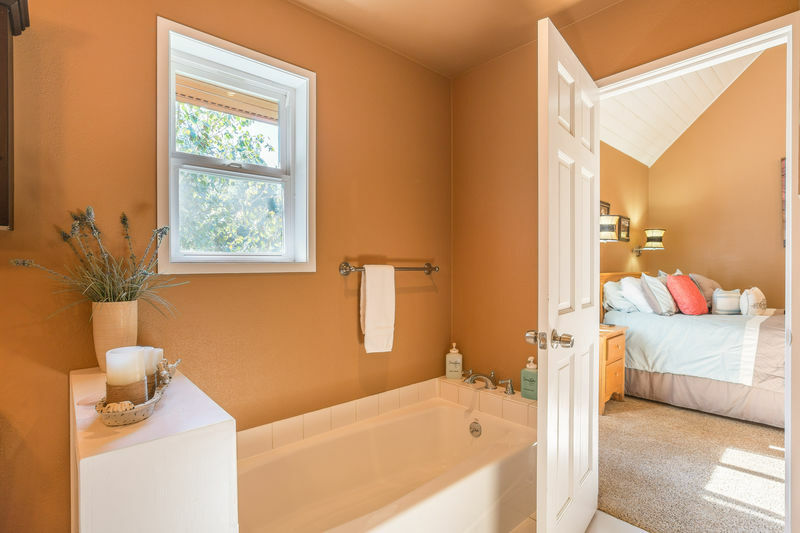 Enchantment Haus is a very special and unique place to reconnect, to come home to after a rigorous day of recreation, and to enjoy, once again, the beauty of nature in a lovely, peaceful setting.